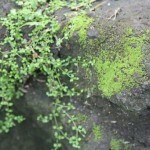 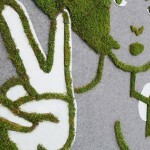 However, the moss grows after application, changing its dimension. 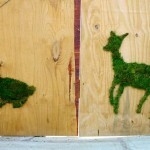 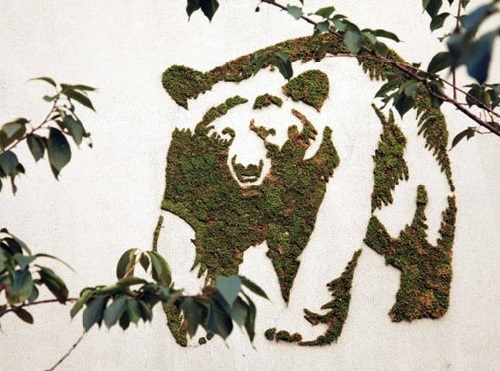 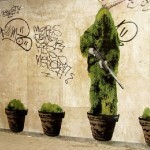 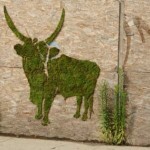 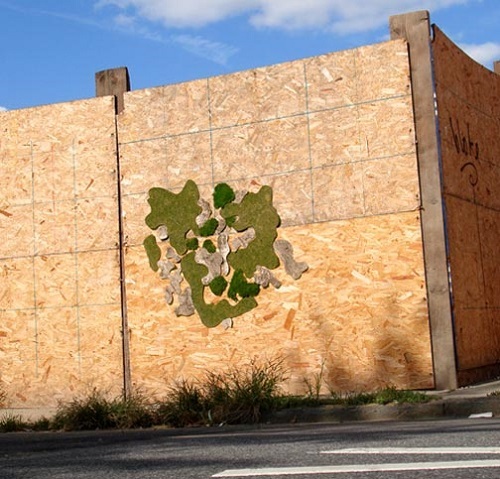 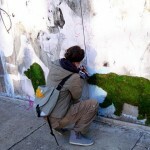 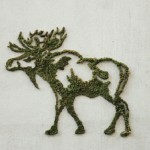 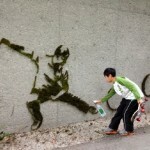 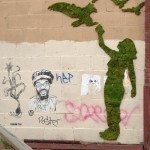 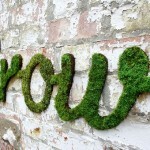 And the artists, using a paint brush, paint the desired pattern on a wall with a moss, allowing it to grow. 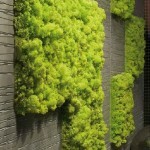 Such moss painting on the wall is soft and pleasant to the touch. 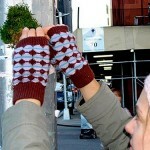 And if you are going to collect the moss, try to gather it from pavement, damp bricks, cement walkway, etc. 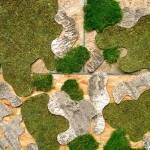 Moss from the woods doesn’t work as well and let it stay untouched in the wild. 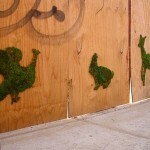 Accordingly, if there is no moss on the walks and walls where you live, the moss paints probably won’t work in that climate.